We will learn about Sonoff smart wifi switch. 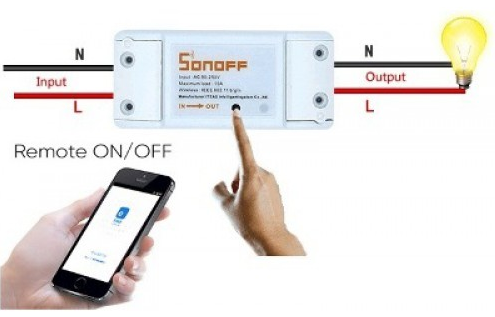 Sonoff Basic is an affordable device that provides users with smart home control. You can get a Sonoff for approximatly $5. It is a WiFi-based wireless switch that can connect to a wide range of appliances. 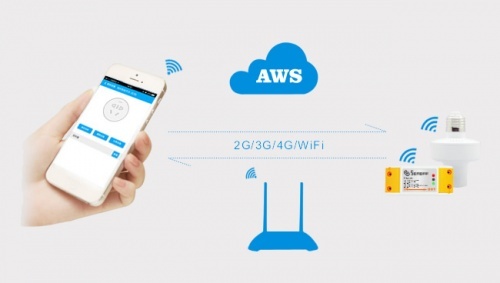 Sonoff transmits data to a cloud platform through the WiFi router, which enables users to remotely control all the connected appliances, via the mobile application eWeLink. The cloud server of Sonoff is Amazon AWS global server. eWeLink is a smart home control APP that can control all ITEAD home automation devices and cooperated products. It allows you to remote control and manage your favorite smart devices of different brands in a single App. After adding the smart home devices to the account, users can remote control the devices on smartphone over WiFi/2/3/4G netowrk. User can also control on WeChat by accessing to Coolkit's WeChat subscription account. You can read more about it here. It’s very simple - it has an input in one side and an output on the other side. You can simply send commands via wifi to turn on and off. That’s pretty much how it works. 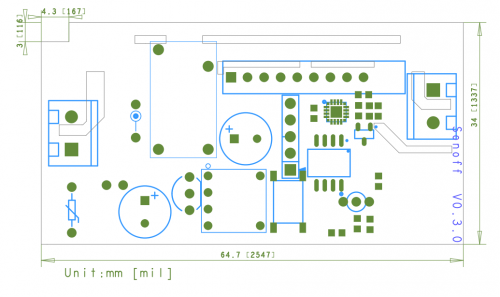 In this project, we’re going to use the standard firmware that came with the Sonoff. Let’s thave a look at how this would fit in a normal circuit. Basically you cut the wire that goes to the device, and you put the Sonoff in the middle, so that you can control any device that is connected on the other end. Normally, what you have is a power source that has an active and neutral line that goes to a load, your load can be lamp for example. In the middle, you usually have a switch. Note: if you have a earth line, it has to go outside the sonoff. 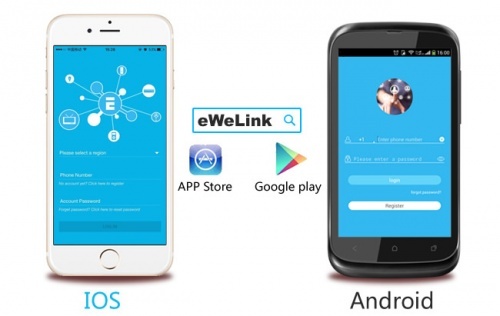 Search for the eWeLink app and install it. Open the app and create an account. Power up the Sonoff device and connect the appliance that you want to control (in our case, it’s a light bulb). Press and hold the Sonoff button for 5 seconds, so the LED green starts blinking. Go to the app and press Next button. Enter your network credentials and choose a name for your device. Add it to your dashboard. Refresh the dashboard and you should see your device. Press the on button to turn it on. Now the light bulb is ON. and if you turn off. The light bulb is OFF. Keep in mind that with this app you can control any device on and off from anywhere in the world, because it’s controlled through the eWeLink cloud servers.The app also comes with a nice set of features, click the timer button. You can add a timer that can be activated on a certain date and time. 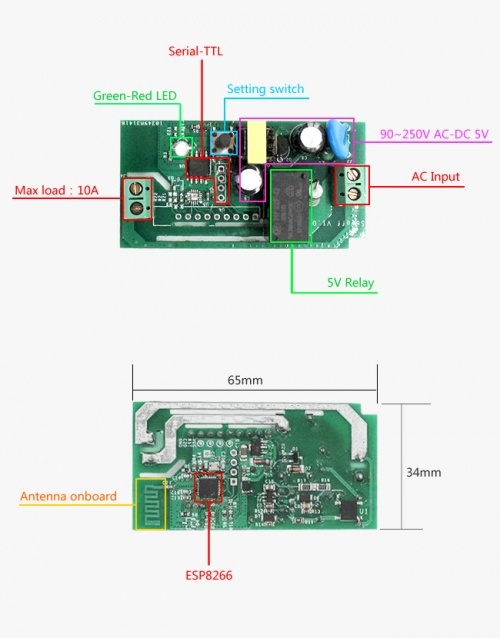 We have learnt about Sonoff smart wifi switch.